The post Top 15 Tips on Responsible Travel in the Himalayas appeared first on Devil On Wheels™ written and copyrighted by Devil On Wheels™. Many of us wonder about “Why is there any need for responsible travel in the Himalayas?”. In the past 7 years, tourism in Ladakh has risen like anything without any control or regulations by authorities. Many senior travelers and lovers of Ladakh including myself, who love this, once upon a time remote place, named Ladakh, now see much filth, garbage, and litter in-season time & hence, try to avoid visiting it in summers. However, even winter tourism is not behind and is on the verge of matching the issues with the rise of Instagram age. Demolition and degradation of Chadar trek experience are one of the examples. The only thing that has changed is the rise of domestic tourists in all these years. Forgive me on saying the bitter truth, but you know it is true, don’t you? It is majorly the domestic tourists who litter like anything on the shores of holy Pangong Tso or Tso Moriri, at remotest passes, in remote corners and where not. They will slide the windows down of their moving cars and shamelessly throw out those empty plastic bottles or plastic wrappers, open the window. They do not even realise that they are disturbing the ecological balance, flora, and fauna. It does not stop there as many of them will cross the limits to stand out of the crowd for that unique picture or a unique video to make them viral. 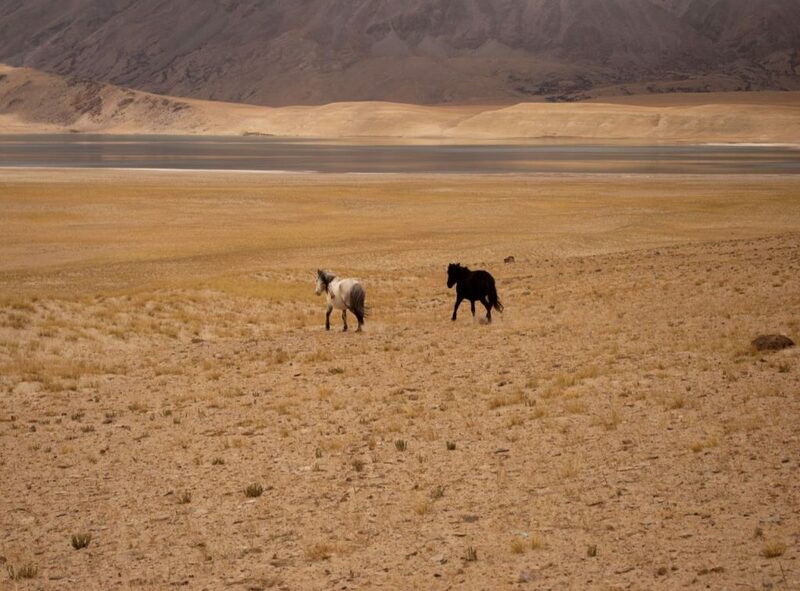 They don’t care if driving inside Pangong Tso lake or riding into restricted border areas will get them that viral photo or a video to boost their temporary social media presence. Well, I will say it is nothing but lack of civic sense, empathy towards the environment, and understanding how they are damaging the ecological balance with such irresponsible behavior. Some of them just do it for the mere show off or to get themselves viral on the short-lived social media. They leave a long term impact on the environment. You can help save this beautiful heaven on earth called Ladakh from this filth & littering by learning, following, sharing, spreading and educating about some the below mentioned tips for responsible travel in the Himalayas. Really? Alone I can help bring this change? I believe every step or a bit count to the overall success of anything. If you yourself can participate then together we can bring the much-needed change and its long-lasting impact will be inevitable. The change starts from you, runs into your family and then beyond. This is what I have followed in my life so far starting from myself and then educating my families existing and coming generations. Bringing a change in your own circle of influence will help you participate in a bigger cause. 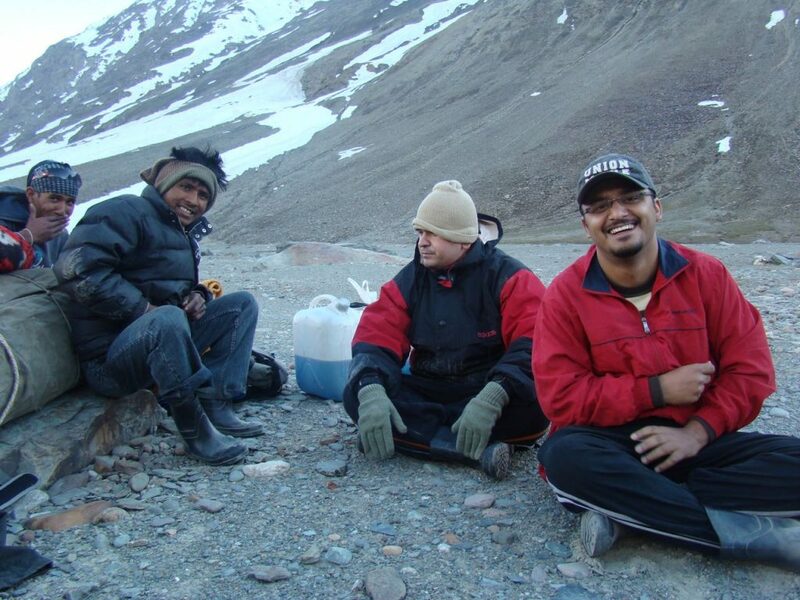 I started my journey alone in Devil On Wheels™ but then over the last seven years, I have been able to bring change in the lives of at least 200-250 individuals (that I can count) through various initiatives in the DoW community about responsible travel in the Himalayas. It is not those 200-2500 individuals, it is their whole circle of influence including their families which will get impacted by their learning and awareness. Let’s look at these tips for responsible travel in the Himalayas one by one. The first and the foremost thing: Please DO NOT litter around in the mountains. You must love them and protect them as you do your home. Each and every individual in your group MUST ensure that they bring their own trash back from the day’s travel especially the plastics wrappers or at least put them into the dedicated dustbin. If you are self-driving, the best thing I will suggest is to carry a couple of large bags or bins with you in your car where you can put in all the trash of wafers, toffees, chocolates, etc.. This will help you keep all the trash in a single place and once some garbage bin is available nearby, you can throw it there or empty the bin. Whenever possible you should strive hard to bring the trash back in the nearest city or town with the proper waste management system instead of dumping up in the Himalayan region. 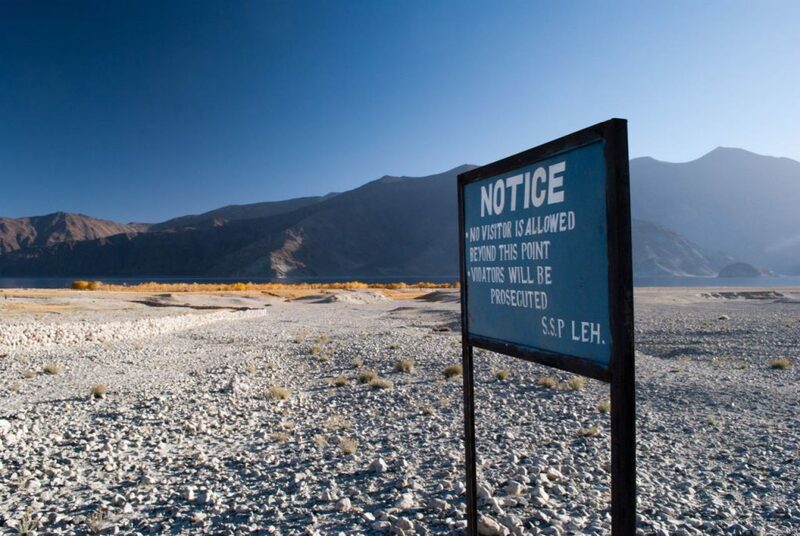 Do read this eye opening article on Ladakh: A Disaster in the making! 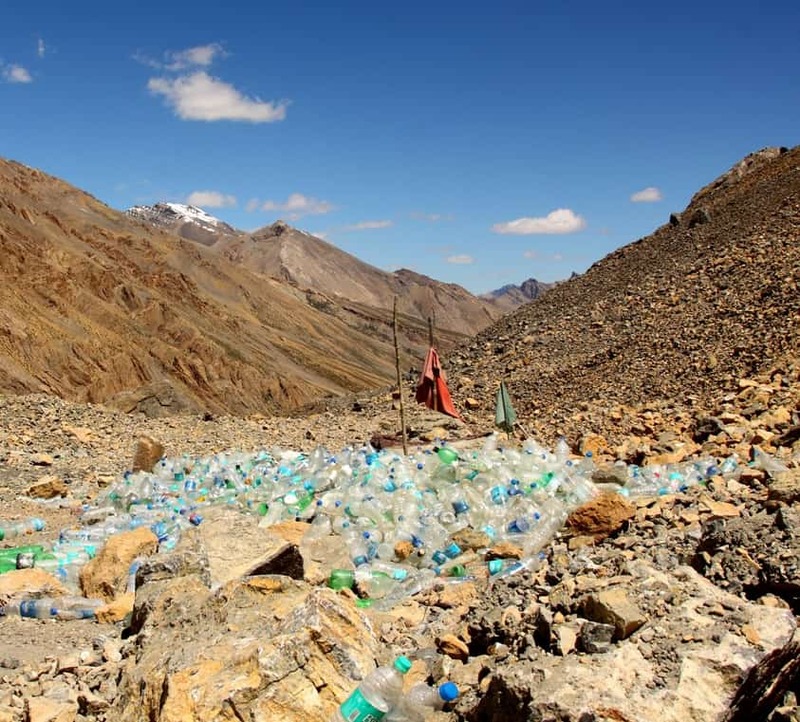 I feel one of the major waste/garbage littered in the Himalayas is the “Plastic Water Bottles” as they tend to get crushed making them unusable after 2-3 refillings. Some folks even don’t bother refilling. I believe if you carry your own single durable waterbottle/sipper which can be re-filled rather being crushed will help the environment tremendously by lowering the littering that happens in the Himalayas due to empty water bottles. 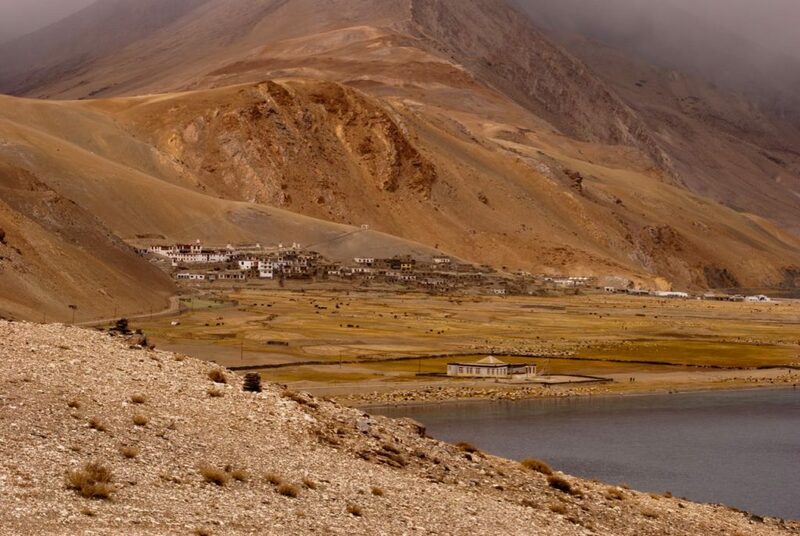 Just imagine that on an average people make a 10-12 days road trip to Ladakh. 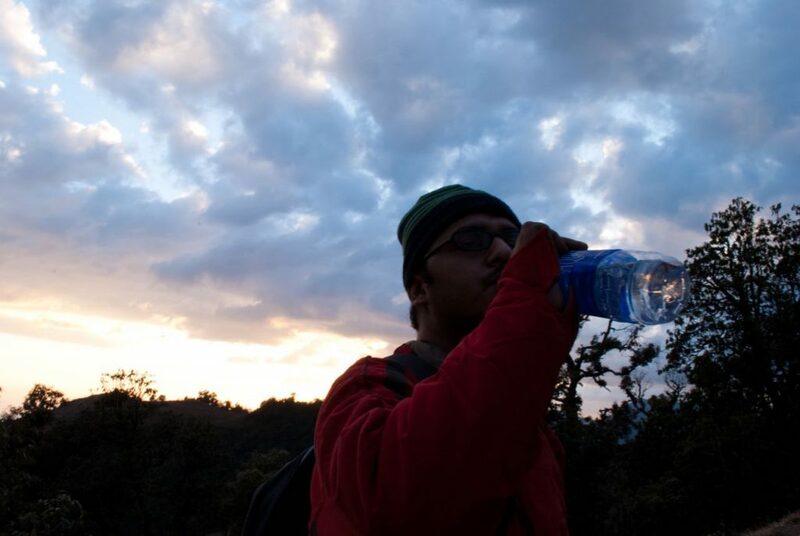 It is recommended to drink about 2-2.5 liters of water a day which makes it about 40-50 water bottles of 500ml each. Consider your car with an optimum group size of 5 people, this makes it 200-250 bottles of trash per car. You can see that with just this small step, how much you can contribute towards saving the environment in the Himalayas. When traveling in the Himalayas, restrict the volume of your music to yourself. Let others enjoy the music of nature. Typically people from the plains tend to play loud music in their cars in the mountains. Now with the emergence of technology, the Bluetooth speakers can emit good sound pollution in such remote areas of the Himalayas. It sounds very jarring; destroys peace and tranquility of the place and startles the local fauna. If you must, turn down the volume or even better, use earphones or headphones (definitely not while driving). I have seen groups creating annoyances to others, creating scenes after getting drunk and dancing till 4 AM in the morning. Very disappointing. 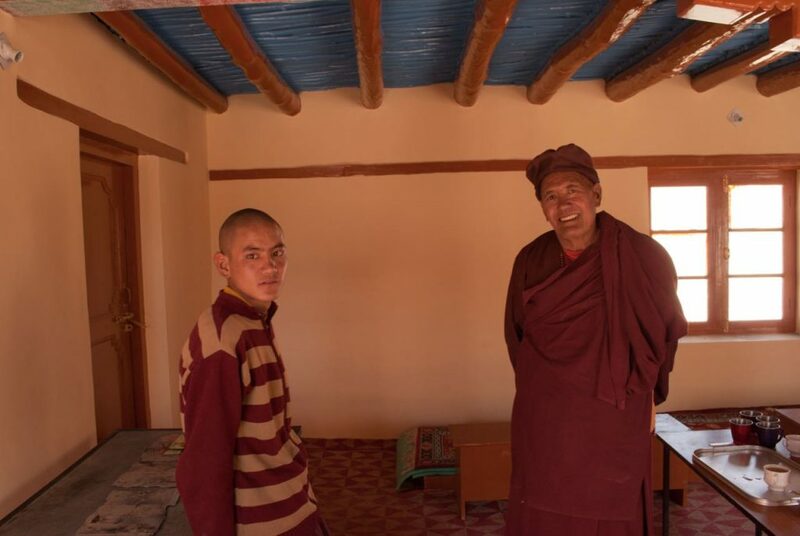 If you are not aware, the high mountain passes are almost like places of worships for the locals because of their humbleness that the two routes are connected. They believe that the purity of the places shall not be disturbed at all and by all means always RESPECTED !! It is always better to stay with local families and talk to the people around the remote Himalayan village in order to understand and support their cultural values & beliefs. This creates a great sense of connection to the place you are traveling. 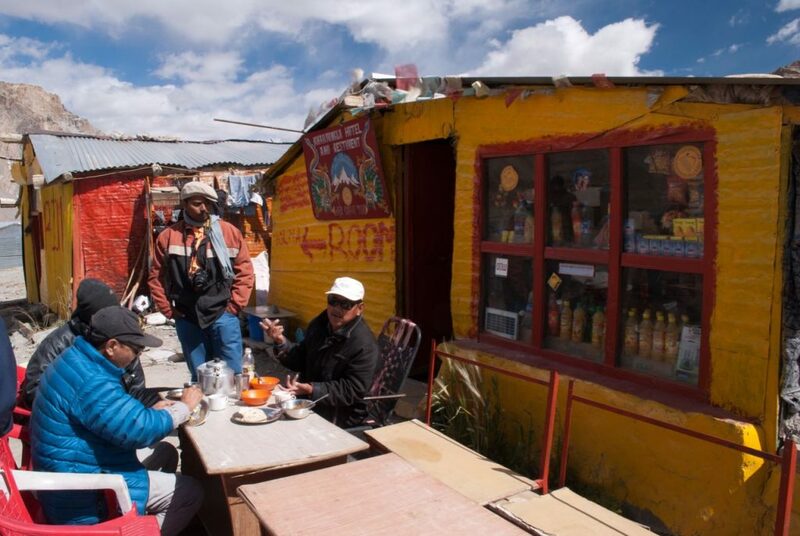 You are not just traveling for the sake of it BUT to learn something good in your life from the locals. Staying in homestays or small guest houses run by local families actually benefit them monetarily as well and you get a chance to indulge in their day to day life getting lessons of life which otherwise sleeping in a comfortable hotel are far off the tracks. Hire local villagers as guides, their porters or their local horsemen for trekking, so that the local Himalayan people who are in real need actually get the benefit from your travel. This is no less than a cause you are doing for their community or locality. Eat at local dhabhas, restaurants, small eateries, etc.. run by local people and even buy items in need including packed food from the small shops available in such villages. This will help them greatly. Finally, come back and publish such details back over in travel communities over the Internet (do not forget Devil On Wheels™ :)). This way you will be promoting and helping them even after travel which goes a long way in cementing the transformations in their lives. Well, I know there are quite very popular but polluted with greed destinations in the Himalayas. However, that is not in general. Most locations or destinations in the Himalayas are still far away from such kind of polluted greed of locals where they tend to exploit the tourists at worse. Hence, it is safe to go with the idea of promoting as well as benefiting the local lives of Himalayan people, especially in the remote and tribal belts. On our trips to the Himalayan destinations, we come across streams, rivulets, rivers, lakes, ponds, and waterfalls – each with its own beauty and attitude. In our enthusiasm, we sometimes frolic in or near these water bodies. While fun is important, it is critical to remember the larger picture. These are the sources of fresh water for the flora, fauna, and people (and to a large extent for much of India). Please do not pollute these sources. Specifically, never use soap, detergents, oil or any such substance near or in these sources, for washing, cooking or bathing. Enjoy them but responsibly. I can never over-emphasize the need to maintain the purity of the air that we breathe and live in. Especially in the Himalayas (true elsewhere also), each one of us is responsible for our actions. In the higher Himalayas, the air in itself is thin causing AMS due to lack of oxygen level. Let’s look at some of the things we can do to help. Never start a fire with a synthetic substance (rubber, plastic, synthetic fabric, etc) – these emit toxic smoke/fumes and destroy the already depleted oxygen levels in the high mountains of Ladakh and Spiti Valley. Where absolutely necessary, use natural gas (burns completely and emits no smoke or toxic fumes) or at worst dry grass or fallen wood. Avoid wet grass/wood; they will take a long time lighting, will be smoky and are low heat coefficient. Do not keep your vehicle idling longer than necessary. Do not accelerate beyond what is necessary. It will help your vehicle as well as the environment. Do not carry/use CFC based aerosols (Deodorants, perfumes, hair spray, etc). When you must light a fire (for heat/light/safety), take extreme caution to select a place that is not windy (cinders fly and can cause serious fire hazards). Ideally away from any surrounding vegetation, dig a small pit, and surround the pit with stones to keep the wind out. Check for wind direction and light a fire where even if there were cinders, they would fly away from any vegetation or straw stocks of the village homes. Once through, extinguish the fire completely, pour water to ensure that no cinders are left, fill the pit with the surrounding soil and place the stones on top of the loose soil. Avoid bonfires unless necessary for heat/light and/or safety. Firewood is a scarce resource in cold deserts like Ladakh and Spiti. Burning them for fun is equally irresponsible. If you really want it, better to keep it for a very limited time. Well, I know that it is a very basic thing BUT still, I want to stress upon it because I have seen some people throwing stones at birds at Pangong Tso to get that perfect shot of birds flying in the background and a pristine lake. One must always act and protect the wildlife from any disturbances which are annoying for them. Posing for a photo with them as is in the background still makes sense as neither you’re are disturbing them physically nor destroying their home. At too many places, people have this urge to record their presence at every site that they reach. Pristine places get defaced and in its place are ugly announcements of either somebody’s visit or their love for some other individual. Tree barks, stones, benches, milestones – everything and anything is game for such folks. We should, please leave the sites in their natural state. When traveling to Buddhists places like Ladakh, Spiti Valley, Zanskar, Tibet, Nepal, Sikkim, etc.. you can see prayer flags at almost many places. Or, you will see stones stacked up at places in the form of Mani Walls, all having sacred mantras on them. PLEASE DO NOT touch by hand or by feet or sit or stand on them. These prayer flags or mani stones or other sacred things in the high lands of the Himalayas or anywhere are there for a purpose. It is believed that they spread the purity as well as protect us by spreading across with the wind flowing in all directions of the globe from these high mountain passes or places. Touching these sacred things unbalances their purity and are always taken negatively by locals as a matter of disrespect to their culture. Many of us, who are ‘western-educated’ display a cultural arrogance when we meet locals. Appreciating and respecting local customs is part of our education that broadens our horizons beyond what we know. A lot of local traditions, customs, rituals may seem irrational to our ‘Westernized’ minds, but hey, those are the traditions that the locals have lived with for decades (and maybe centuries). We are nobody to judge them. So, even if you disagree, do not debate there and keep your opinion to yourself and participate respectfully if not reverentially. When walking or driving or riding across the Buddhist stupas, flags, rotating the prayer wheels, getting around the mani walls, monasteries, etc.. you will mostly find the space around them is quite wide. The idea of the empty space behind them is to walk or drive or ride across them always in a clockwise direction only. Even I have seen people rotating the prayer wheels in the directions they walk or enter a place due to convenience and lack of awareness. Well, instead of convenience one MUST always walk down the other end and then rotate these prayer wheels in the CLOCKWISE direction only. Always remember to follow clockwise direction for spinning prayer wheels, going around a temple or monastery or stupa or chortens on the road. This, in fact, is not only valid for the Himalayas, but anywhere in the world. It is always advisable to seek permission before clicking a photograph of any person. When in the remote villages of the Himalayas, be very respectful and must ask for permission before taking photos of the females in the house or village. You must avoid offroading on wetlands/grasslands just for the sake of fun. In the Himalayas, these wetlands/grasslands are scarce resources for food and waters for the wildlife/animals in that region. These are present to maintain the overall ecology of the environment at those places. Offroading or driving unnecessarily while the road has been built around such plains, meadows, etc.. for example Moore Plains on Manali Leh Highway, plains around coming from Tso Moriri to Tso Kar, etc.. where wildlife presence is much more, shall be avoided always. Have fun but be responsible as well at the same time. Wetland grasslands are home to wildlife in the Himalayas. Don’t destroy their homes for your fun of driving or off-roading. Yes, you can be a responsible driver or rider not just responsible traveler. Let me share some common tips for being a responsible driver or rider on your Himalayan trips. It is important to know these basics of some not-so-known rules to people like us who are accustomed to driving in plains. This will surely help us make a responsible driver or rider. A vehicle coming up the incline should have the first right of the way. When driving on a narrow section of the road and you see another vehicle approaching in a distance, stop at a place where both can pass. Do not think that you must keep moving expecting the other one to stop. Use horns at blind turns. But no pressure horns, please. If you want to click a picture, make sure you park your vehicle safely in a place where it does not obstruct the moving traffic. On a narrow section of the road, if you see another vehicle coming towards you then park aside to give them a pass and do not think that you must keep moving expecting the other one to stop. Be a responsible driver! The city dwellers get this habit of breaking a queue on the road to get the first pass and end up blocking the way from the other side. While in cities, roads are broad and situations may be managed by causing long traffic jams, it’s not the same case in hills. I strongly recommend everyone to wait in the queue to at least inquire what is wrong. Not just that, urge your taxi drivers to follow the same as well. Being helpful and generous is one of the keys to being a great traveler. Traveling in the Himalayas can be lonely at the times and difficult too. Hence, extend your help to other fellow travelers, trekkers or locals who are in need of something stranded in the middle of nowhere. Don’t just ignore and cross someone in need in the Himalayas because you never know when you might need one on the next turn too. Your help or even simply stopping and asking for any need of help may save lives or be at least comforting to the ones who are stranded. While traveling in the Himalayas, the high mountain passes are almost desolated but while taking pictures around the milestones, people pollute or litter around plastics and things around such passes. Similarly, there is a sorry state of our most beautiful lakes as well in the Himalayas. What you can do as a responsible tourist or traveler is that you or your group can involve locals around the lakes or at passes (if any otherwise DIY ;)) and organize that day as cleanliness drive. You can pick up at least all the plastics, pet bottles, etc.. or other trash thrown by some nerds around these passes and lakes, put them into the bin or bag you are carrying with you and finally throw them into the nearest dustbin. Whatever you bring back to the cities will surely help a tiny bit in protecting and preserving the nature plus the beauty of our Himalayas. Yes, in the end, don’t forget to make friends with the locals or other travelers. I have been friends with so many folks from my travels including travelers and locals, both. Some of them are part of my extended family now. Sometimes knowing the locals will help you get information or updates that you may never find mentioned in any book or in any article over the Internet. A common practice I try to follow is to click the pictures of the locales and as a goodwill print those pictures and send them as postcards to them. You will soon be making best friends forever and will feel a strong bond with the place to cherish the memories forever. Thanks to Tapan Ji, Sandeep, Neeraj, and VPGupta Ji for contributing some of these tips in the DoW Community Forums. So, now that you know about these responsible travel tips for the Himalayas, would you be interested to implement them or learn from them? No one can force us to follow these basic things which are required to be followed when traveling in the remote areas of the Himalayas. So, it is important we teach and spreads them slowly and take one step at a time to learn & practice them on our trips. We must start with fixing our own wrong doings first, then move on to the family and then spread into our own circle of influence further. Teaching our kids these common civic sense practices right from the early ages will go in a long way in changing the mindset towards responsible travel in the Himalayas. Do comment below in the article if you have any other responsible travel tip that other travelers should practice. I will be happy to add them to the article. If you believe in these tips and want to spread the word about them, do not forget to share this article with your family and friends.